I just couldn’t justify a whole professional 13 piece set when I have so many quality brushes already. I usually let my head rule my heart when it comes to makeup purchases. #stupidhead! But Sedona Lace recently launched the Vortex Travel set the week of their Black Friday event. The stars were aligned and I was online at the appropriate time and I managed to get the Vortex Travel Brush set for 50% off the retail price of $49.95 USD! My order came super fast and was packed beautifully. It took a week to get from Florida to Canada. That alone astounded me! Plus every Black Friday order came with a black liquid liner pen. The Vortex Travel Brush set consists of 3 face brushes, 4 eye brushes and a lip brush that come in a handy faux-leather zipper travel case. The face brushes also come with their own brush guards which is also great for traveling. No squished bristles. These brushes are basically full sized brushes with slightly shorter handles (averaging 6 ½ inches). The actual brush part is the same size as the regular Vortex set, just the handles are slightly shorter. I have a few comparison photos below. Sedona Lace did not cheap out the travel set. The quality is pretty damn good. The tulip brush is a great multi-purpose brush. I am using it for setting my face and applying highlighter. 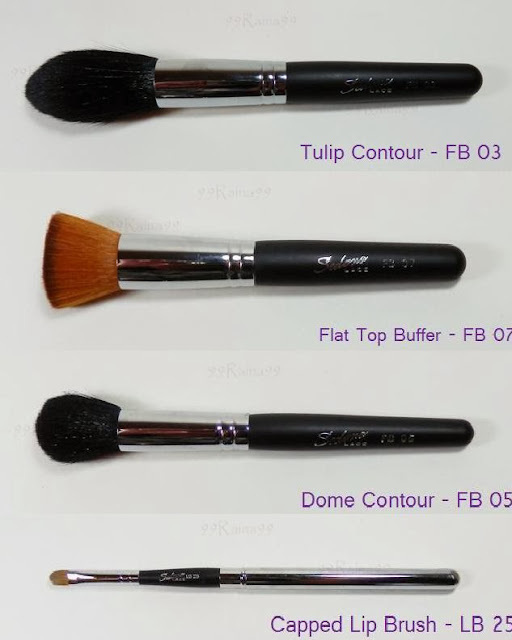 I used the flat top buffer brush to apply my foundation. This brush is so soft but it still dense. I can stand it up on its bristles. While it does a pretty good job applying foundation, I still prefer my Coastal Scents Synthetic Angled brush. It's just denser and I am in love with it. But the flat top buffer is no slouch either! I will be taking the flat top with me when I travel for sure. The domed contour is my go-to brush now for applying my bronzer which I use as a contour on my cheeks. The universal blender is my favorite type of eye brush. If I could only have one type of eyeshadow brush to do my makeup, this would be it. 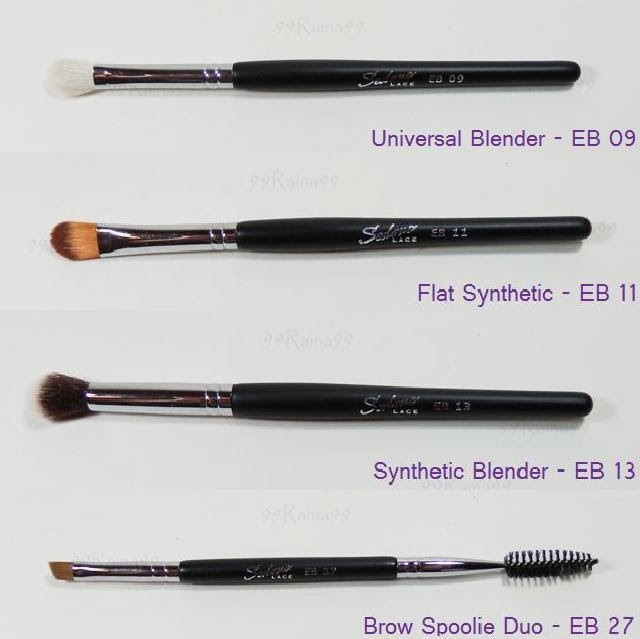 I have 6 other similar brushes from different companies; my MAC 217, Coastal Scents Shader etc. I think Sedona Lace’s version is right up on par with the MAC 217 albeit just slightly less dense. I used the MAC 217 as a comparison brush in the pictures below (it's a bit dirty teehee as I wast just using it). Love this brush! One definitely needs a spoolie/brow brush when on the applying makeup on the go! The brow brush on the other end of the spoolie is way more useful that having a lash comb that is usually on the opposite ends of most spoolies. The synthetic blender is a dense eyeshadow brush. Great for tapping shadow into the crease. I also use it for blending out the edges of my shadow. 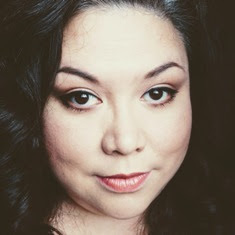 It's a little big for me to blend the crease but was great for tapping shadow in there. I just tried it for buffing my concealor in and it was perfection. I think this will be its primary use from now on! The flat synthetic brush is great for packing on shadow or using for cream bases. Ah the travel case...I previously bought Sedona Lace’s Brush Cup holder for the purpose of using it to transport and hold my makeup brushes when I travel. While it is great for hauling brushes around I wanted something a bit more compact and user friendly. Besides the cup holder was way to pretty to scratch up tossing in and out of suitcases. The main issue I had with the brush cup holder was that when I do travel, I usually end up sitting on the bed to put my makeup on. The cup holder doesn’t stand to well on a bed. But the Vortex Travel case does! It is a faux-leather flat case that zips open to lie wide and flat. It has a protective flap to protect your precious new brushes. The brush slots are quite snug so no worries about brushes getting loose in there. Plus there are extra little slots for more brushes and tools. Every single brush in this kit is a great travel essential. Plus each brush is incredibly soft and I actually prefer the shorter handles. Do I recommend the Vortex Travel Brush set? Most definitely! If you are like me and don’t need a whole professional kit, the Vortex Travel Brush set is a perfect compromise! Plus you get a great little travel case! The Vortex Travel Brush set is available at SedonaLace.com $49.95 USD. This has to be the best travel brush set that I own now.